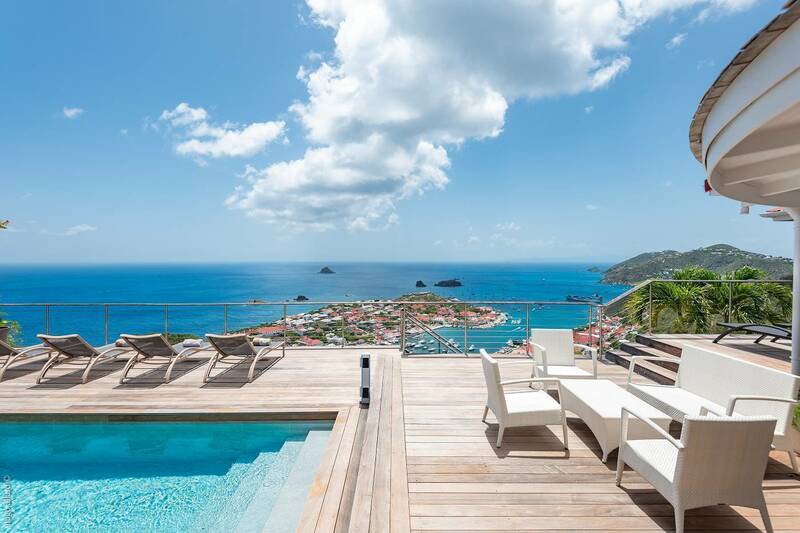 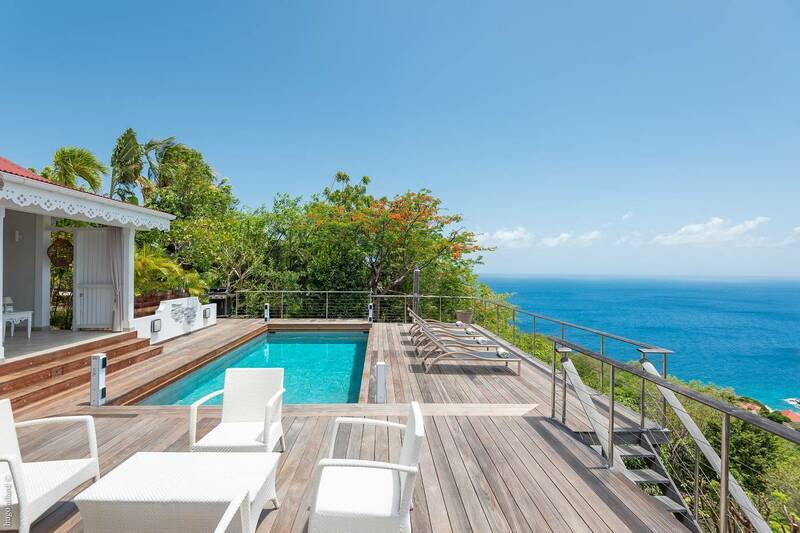 Dream About: Vacationing in a private villa with fabulous sunsets and harbor views just minutes from Gustavia. 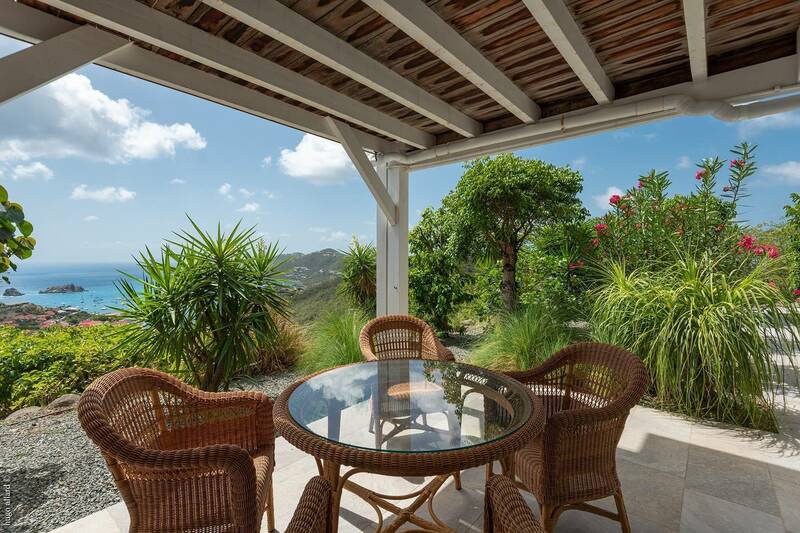 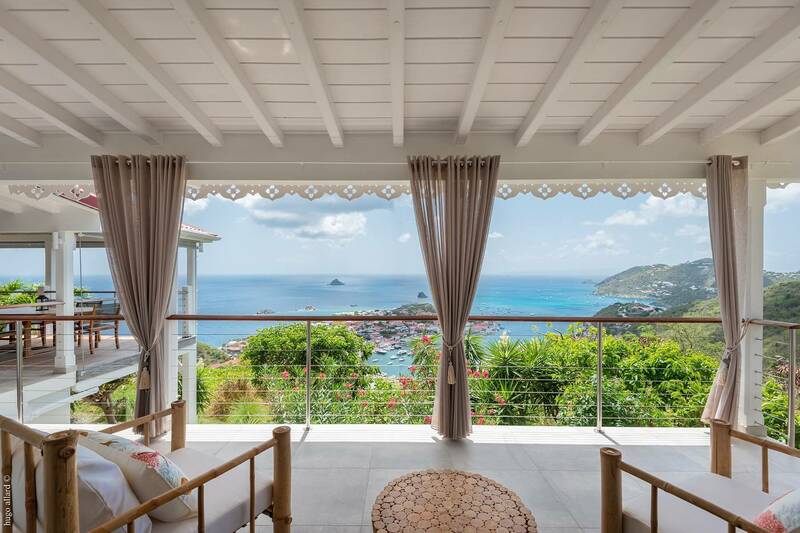 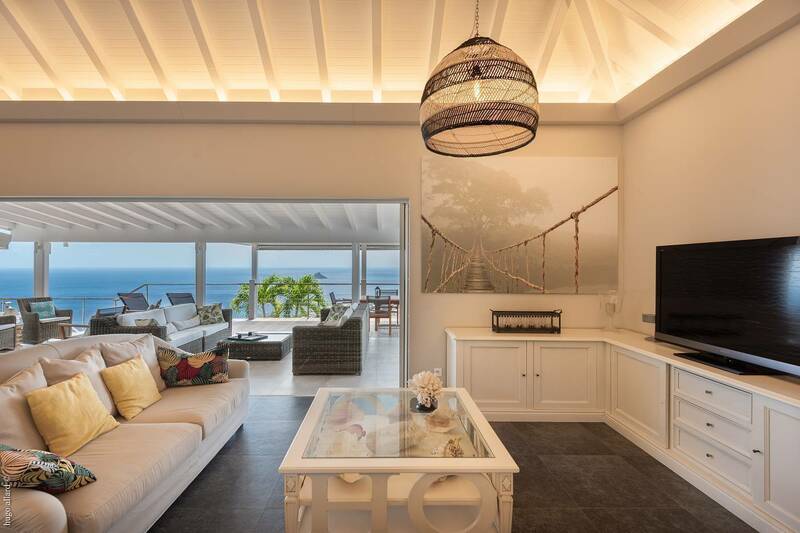 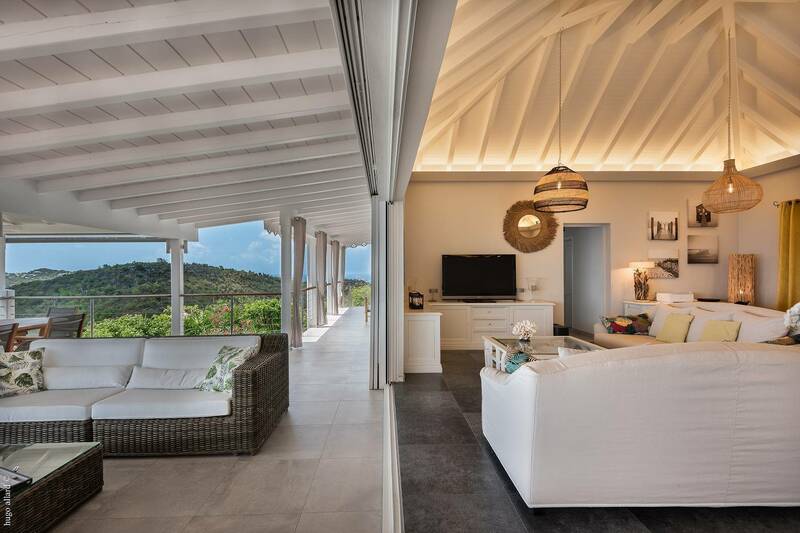 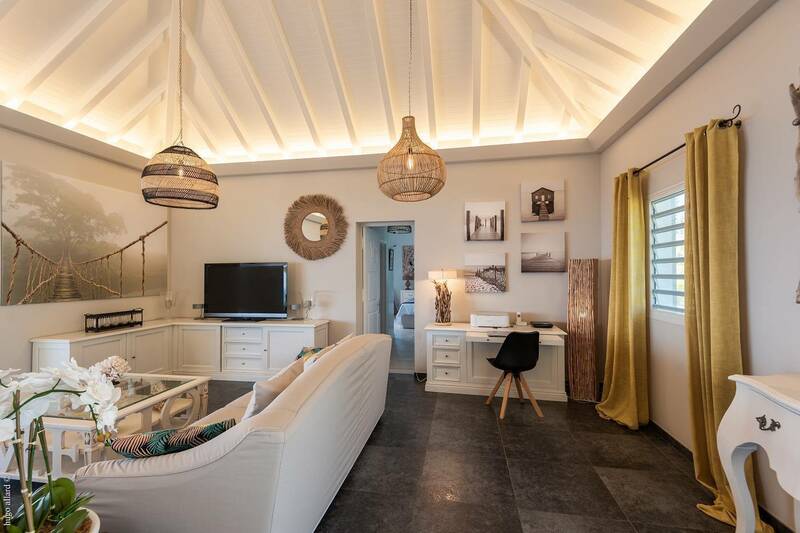 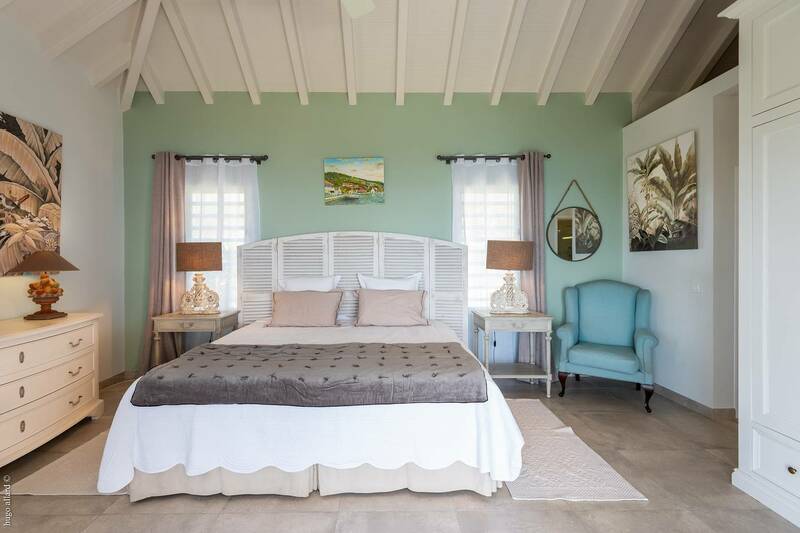 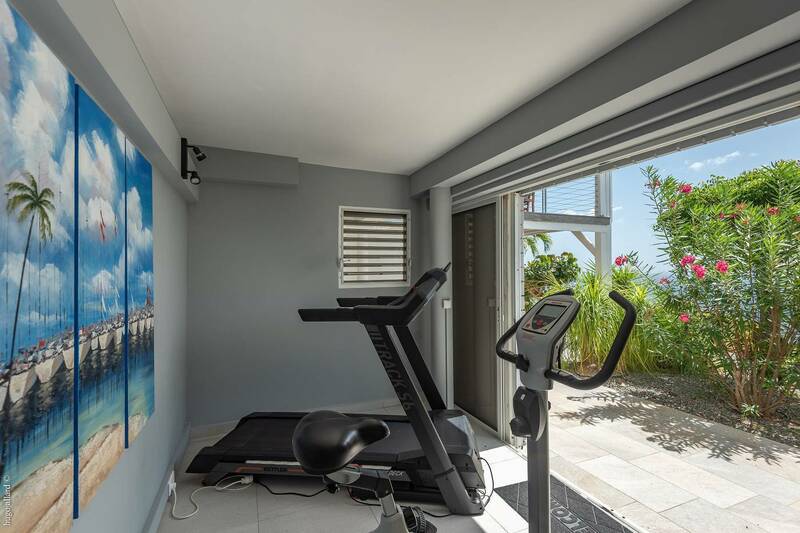 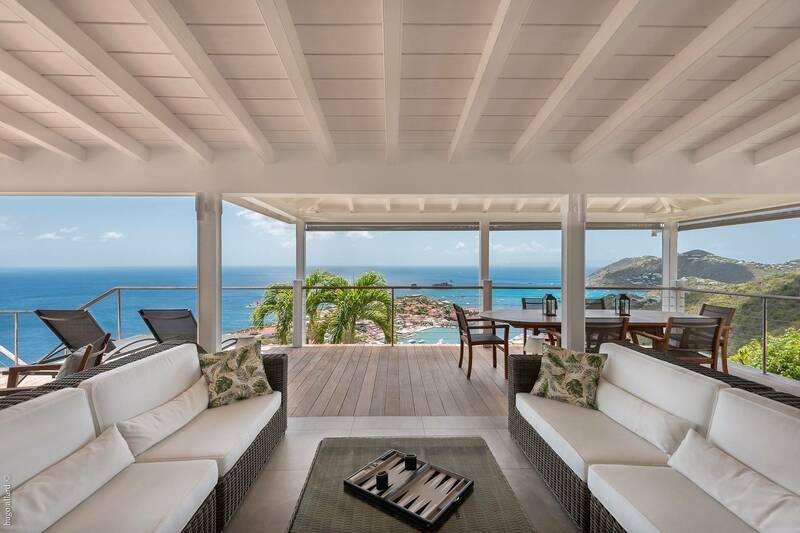 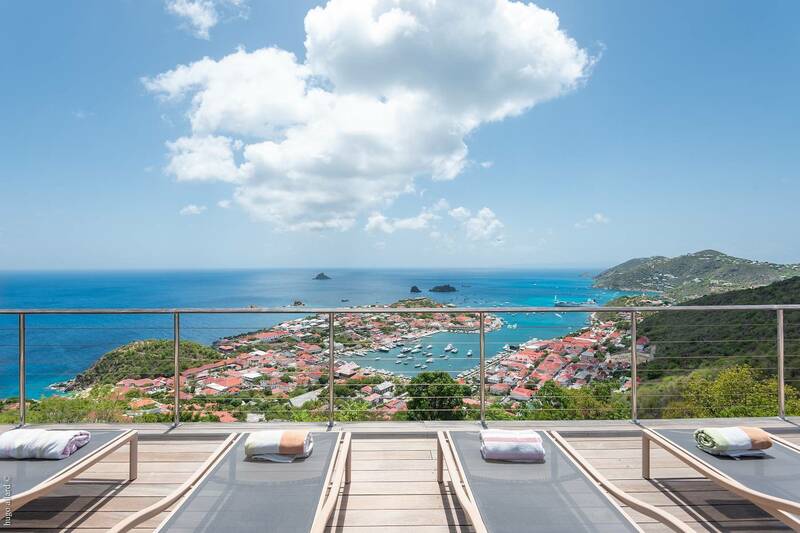 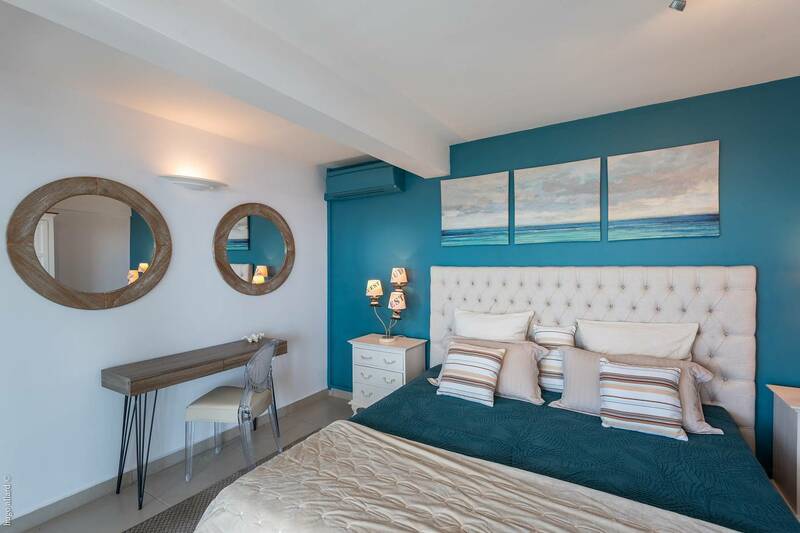 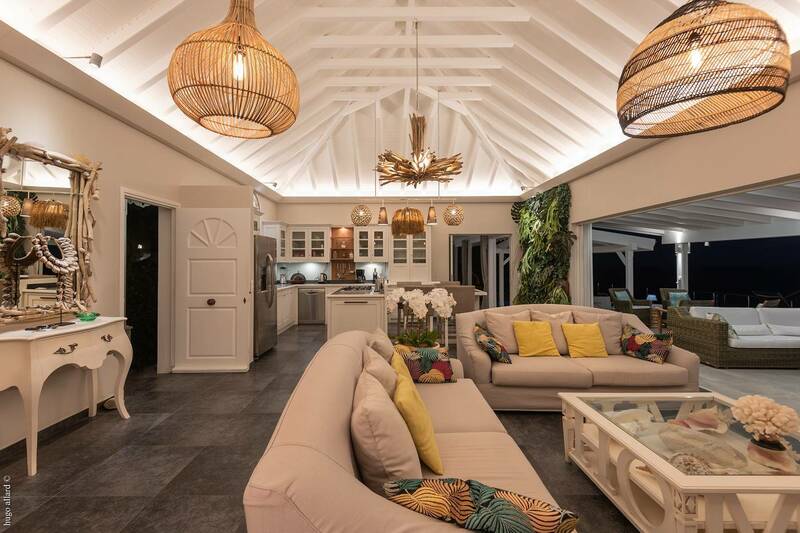 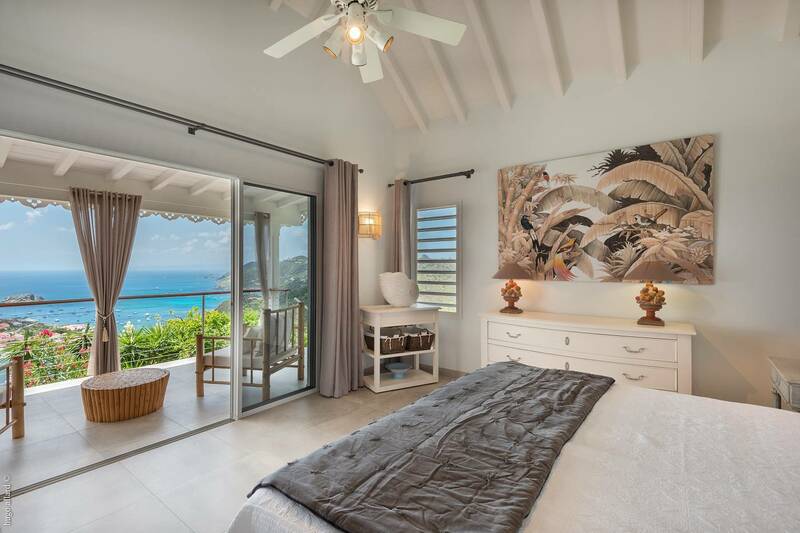 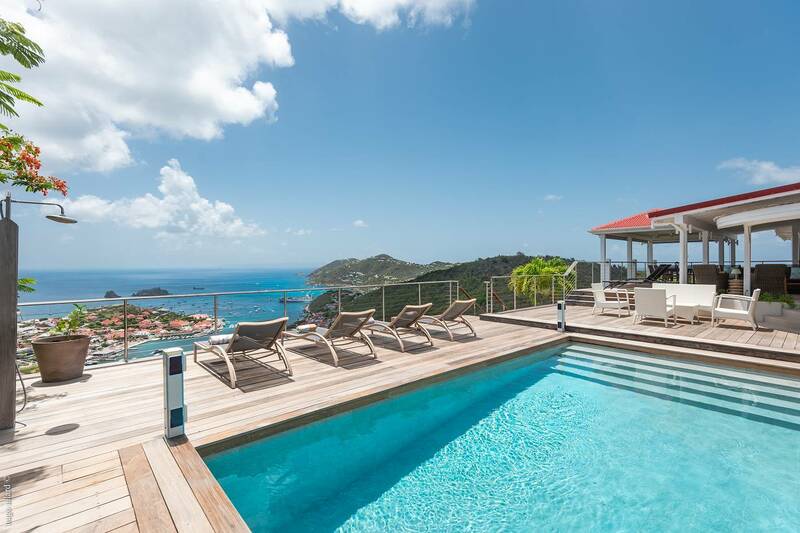 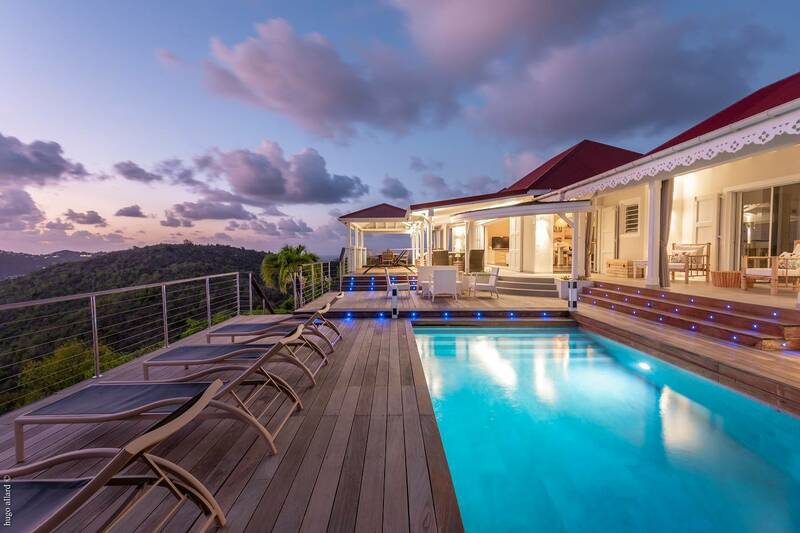 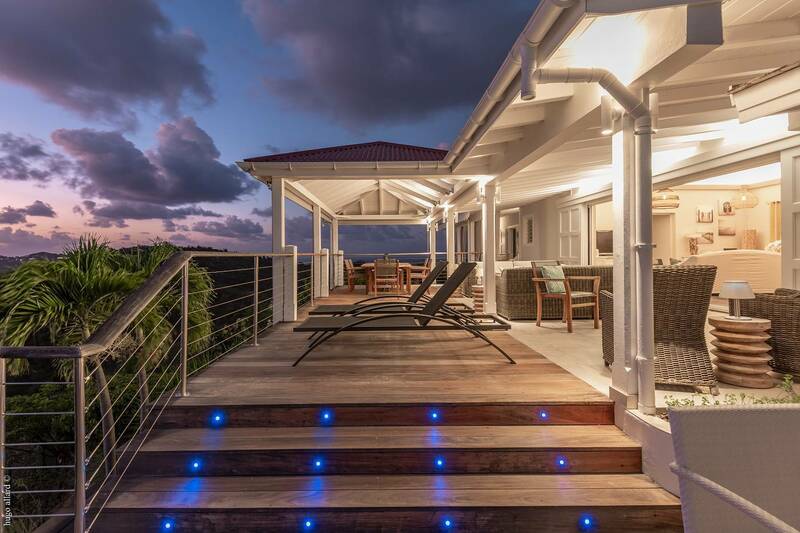 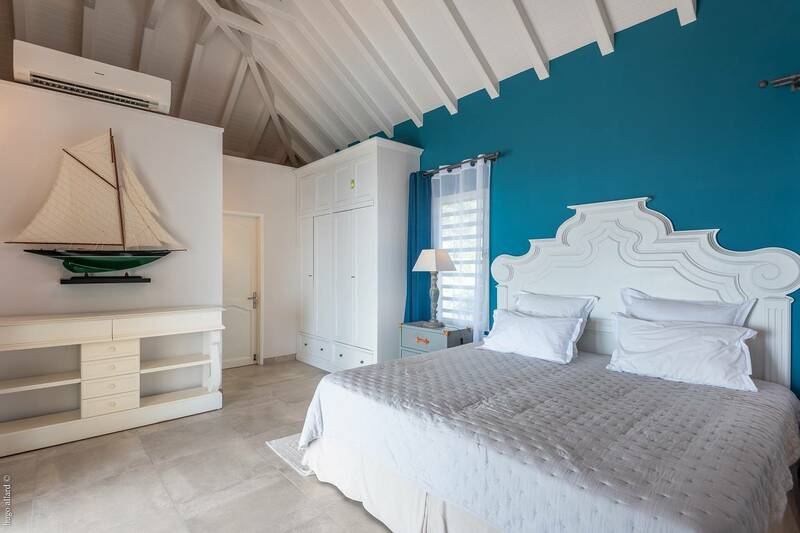 Villa Ti Moun’s location has a trifecta of special features: a hillside setting with a panorama of the iconic harbor, its inclusion in an exclusive gated community and its proximity to Gustavia’s chic shops and restaurants. 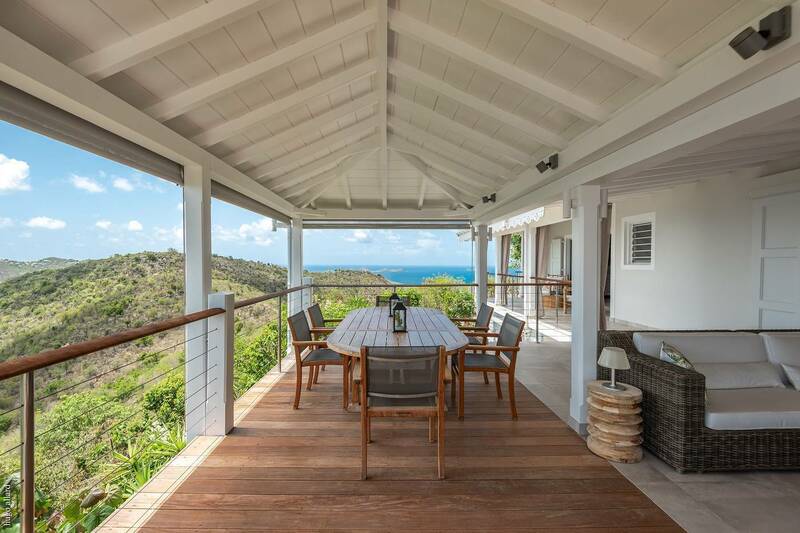 Both Shell Beach and Gouverneur Beach are less than a 5 minute drive away. 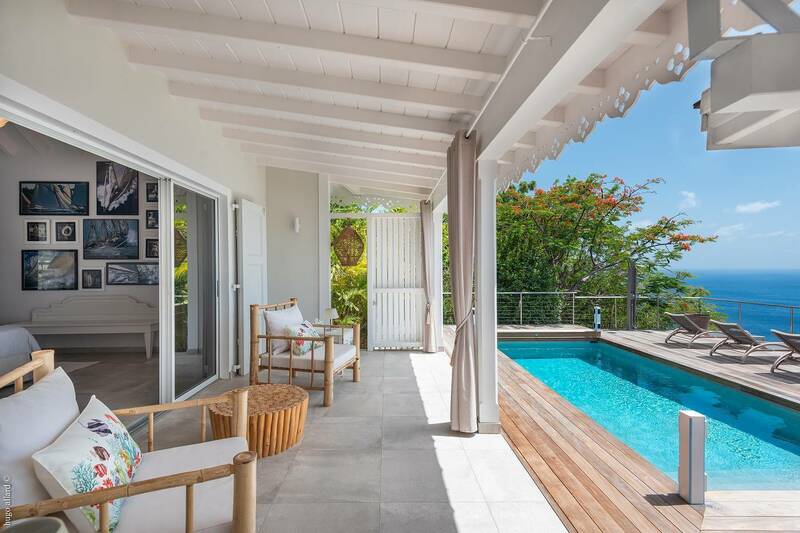 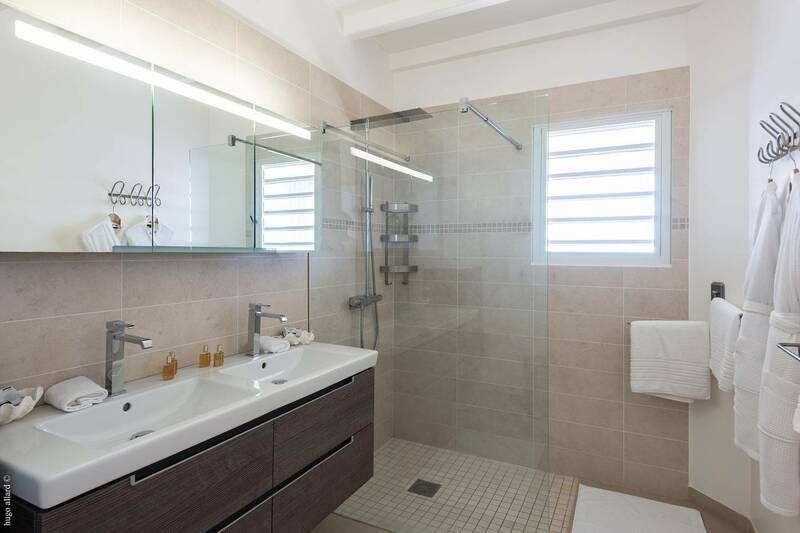 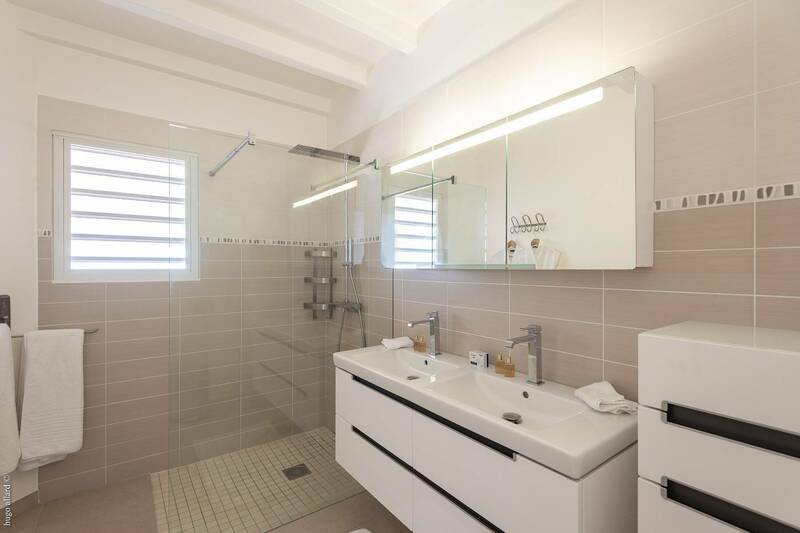 A complete recent renovation makes this villa even more desirable. 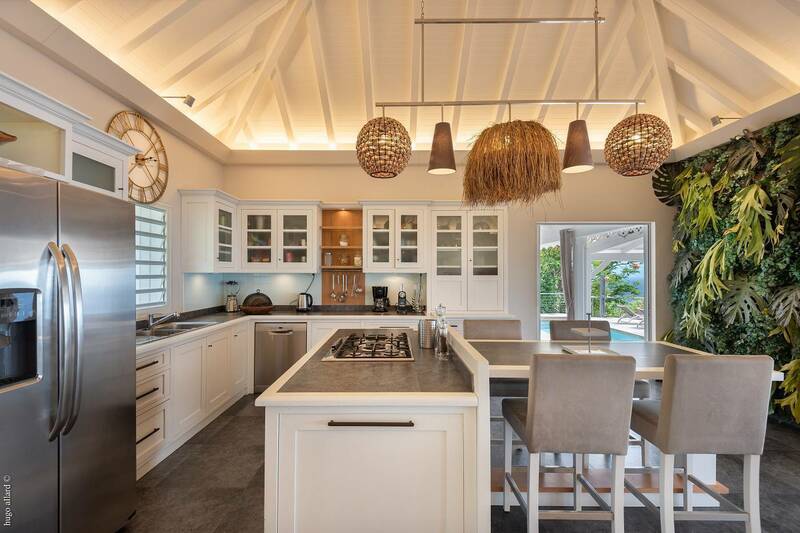 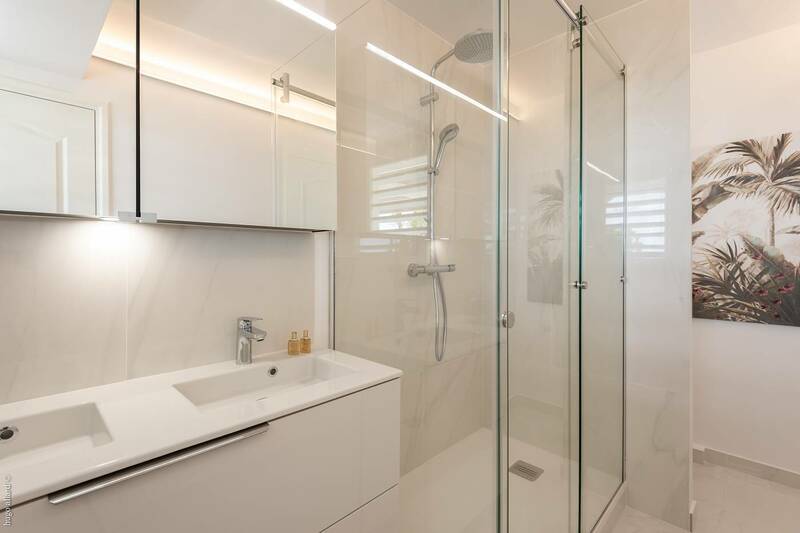 The indoor and outdoor living and dining spaces are luxurious and ample and include a sleek kitchen with a breakfast bar. 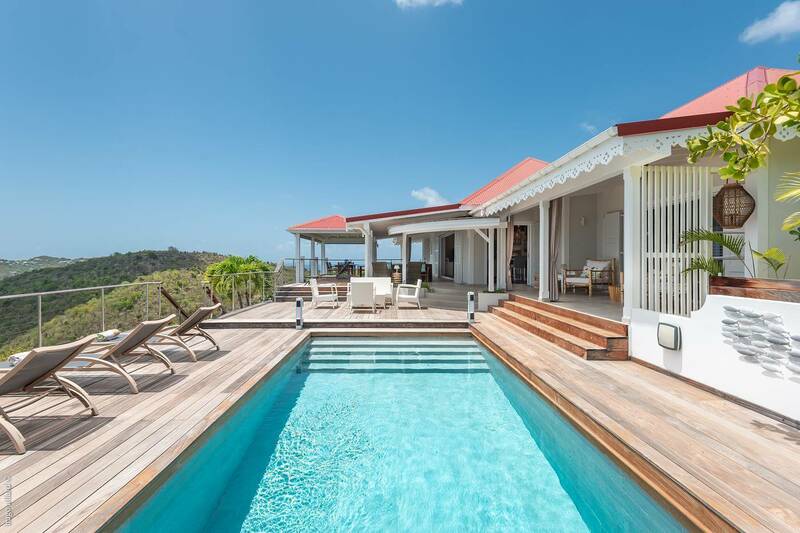 An oversized pool is set in a sunny terrace, artfully situated to leverage the magnificent views of the sea and the neighboring islands. 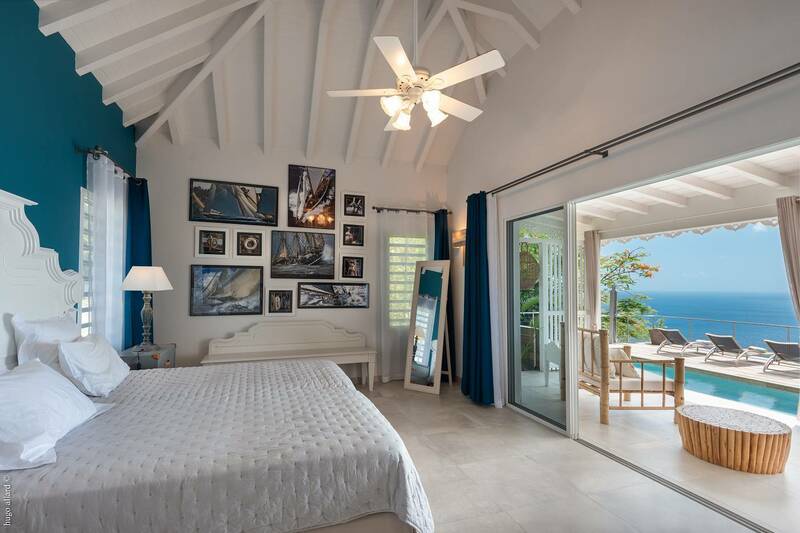 There are three (king) en suite bedrooms - all with views - two on the main level and one on the lower level. 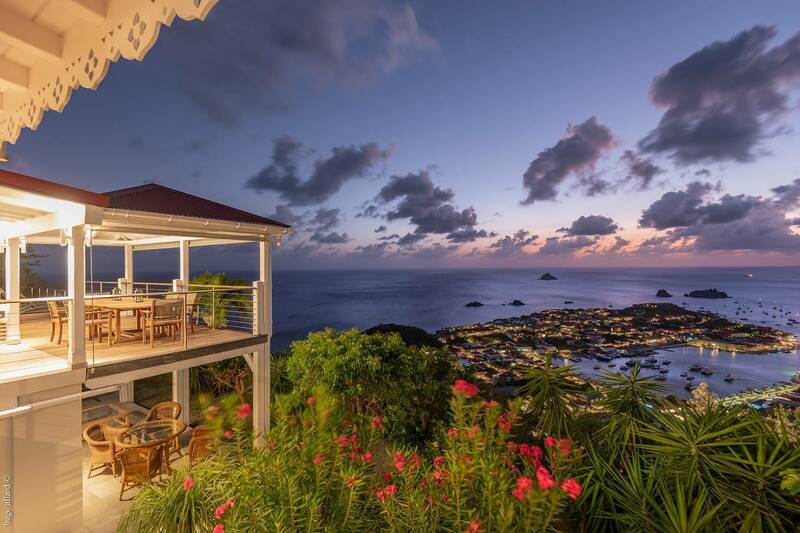 The fiery Caribbean sunsets are spectacular all year round. 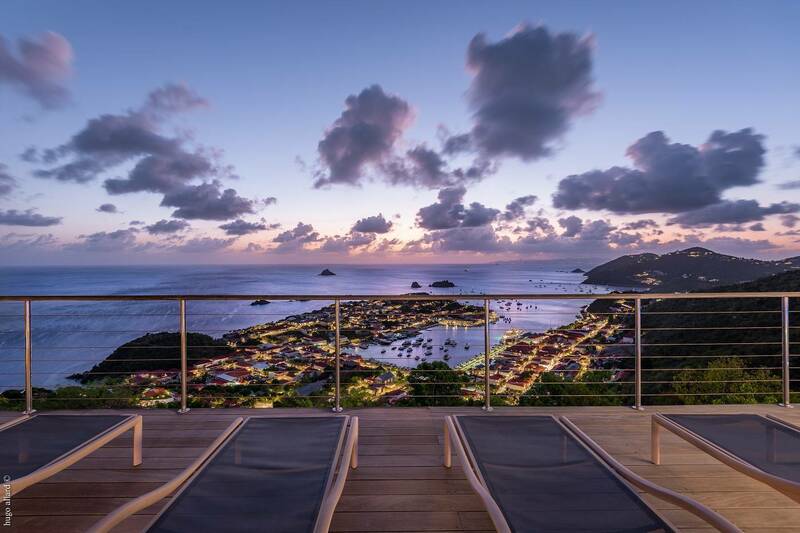 The views of the harbor, the sea and the neighboring islands. 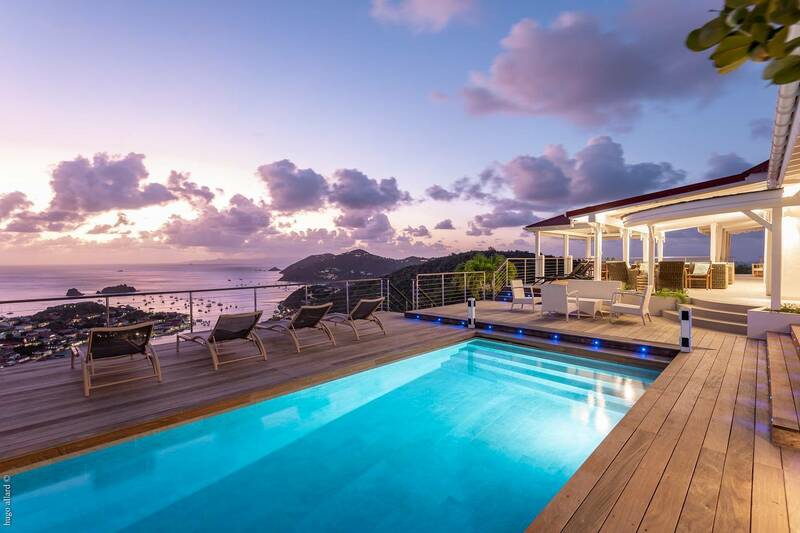 Beautiful sunsets year-round. 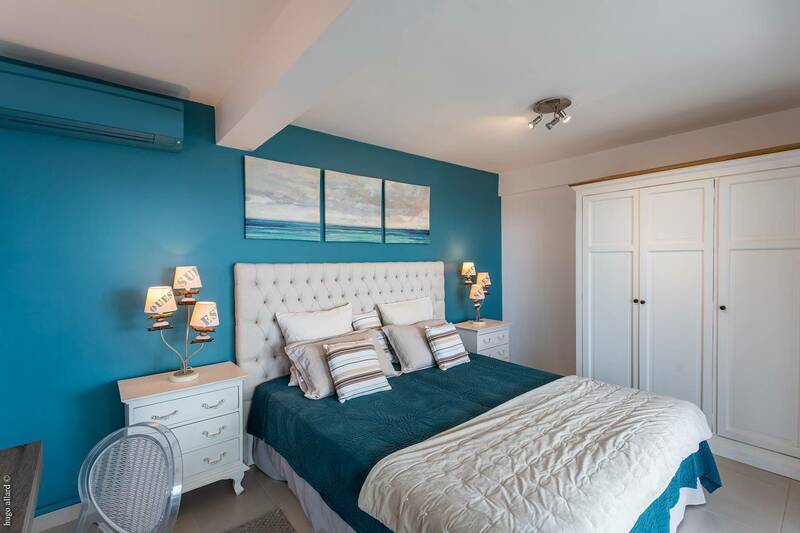 Loads of living space; a great pool set on a sunny terrace and 3 en suite bedrooms.